The conversion of dusty fines from dust collectors into non-dusty, free flowing particles for recycling, sale or disposal is beneficial for a number of reasons. Specifically, in many localities it’s illegal to landfill fine particulate, and recycled materials are easier to manage and process when pelletized. 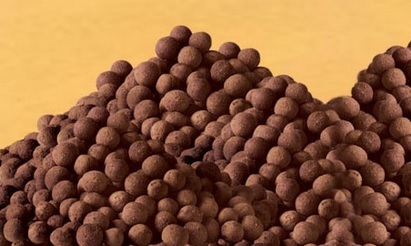 It’s also easier to combine various materials into homogenous pellets, such as fertilizers. Additionally, many consumer products, such as dishwashing soaps, soap powders, instant coffee and fertilizers are agglomerated for flowability, elimination of dust or easy dosing. Hazardous dusts are pelletized to reduce worker exposure to harmful materials, which helps to improve workplace safety and quality. Pelletizing also reduces volume by a factor of 2 or 3 to 1, which makes materials easier to transport and use. Pelletizing also has useful applications related to end-of-life tires. That’s because Recovered Carbon Black (rCB) is hard to handle in powder form and is in high demand worldwide as a tinting agent, strength additive and UV protectant, as well as a pigment, filler, and heat- and light-resistant coating for non-automotive and marine rubbers and plastics, pipes and packaging. rCB from tires processed by thermal depolymerization is also suitable for automotive rubbers used in belts, hoses, dashboards and interior door panels. Agitation Pelletizing is usually the least expensive process for converting dry fines into spherical pellets too fine for briquetting or extruding, including micro-pellets used to manufacturer fertilizer, and free-flowing granules. Compared to briquetting or extrusion, the rolling action of the Disc and Deep Drum Pelletizer require relatively little horsepower to operate. As a result, the equipment experiences minimal wear, which reduces maintenance requirements. In many instances, ultra-fine particles are pelletized before they’re briquetted or extruded. When it comes to micro-agglomeration and material densification, the Pin Mixer is a most effective device and the use of tungsten carbide pin tips minimizes the need for costly equipment maintenance. Compared to other agglomeration methods, Agitation Pelletizing is versatile and cost-effective. That’s because pressure processes such as briquetting & extrusion require equipment with significantly higher operating and maintenance costs. Heating (sintering & induration (hardening)) has numerous pelletizing applications. This production method consists of pelletizing fine dust particles so they can coalesce into a solid mass. It is used mostly to prepare iron ore for use in manufacturing Direct Reduced Iron (DRI), and is costly due to high rates of energy consumption. It is also used to create sinter dust, which is pelletized and returned to the sinter strand. Spray Drying is ideal for producing micro-beads, usually less than 200 mesh in size, to improve a material’s flowability. This production method consists of spraying slurry into a heated chamber. As the material dries, it agglomerates into small-diameter spheres. Pelletizing spray dried material is difficult because the particles’ spherical shapes prevent interlocking, making it necessary to add binders.